We are pleased to announce the selection of Shannon Kelly as our new high school director for the 2016-17 school year. Shannon is an MMS alumna (’92) as well as the parent of three daughters, Zoe (’15), Indigo (10th) and Cecily (5th) and will bring great intelligence, vision and integrity to the position. As you may remember, Jivanti Rutansky, former co-head and current high school director, is phasing-in her retirement and resigning as high school director at the end of this school year. Jivanti has been mentoring Shannon for the past couple years in college counseling and has agreed to work part-time next year, helping transition Shannon in her new role. Shannon earned a BA in political theory with a minor in history at the University of California, Santa Cruz, graduating with honors. She married Carson Kelly (a current MMS board member) after college and began her family. Shannon joined the MMS office staff in 2007 as the finance contracts coordinator. She began assisting in the Values in World Thought classes with Sadanand “SN” Mailliard as a co-teacher in 2009. In 2013, she joined Dayanand “DN” Diffenbaugh as a co-teacher in the World Religions class. 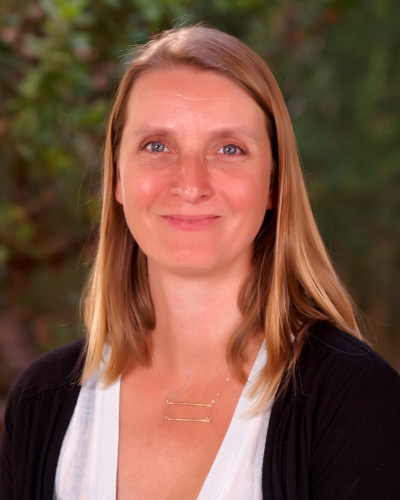 She has been training and assisting with college counseling since 2014 and is a member of the Monterey Bay College Counselor Consortium and the National Association of College Admissions Counseling. She is also a Model United Nations faculty advisor. Recently, Shannon had an in-depth interview with the Executive Council and shared her thoughts and ideas about the high school with us. We were impressed with her thoughtfulness, passion, balanced perspective and vision for future development of the program. In Shannon’s time at MMS, we know her as a person with great intellect, integrity and positive interpersonal skills, who communicates clearly, and works well with others. She is respected by students, parents, colleagues, and administrators. Shannon knows the college entrance requirements and processes, and helps students and families navigate the steps with great skill and support. Even more than these qualities, Shannon demonstrates successful educational leadership driven by a commitment to the MMS philosophy and mission, as well as a deep understanding of our K-12 and in particular 9-12 program. We believe we are indeed very fortunate to find someone that meets all of the above criteria who will serve the school going forward. Shannon, like our other directors, will be a part-time teacher, part-time administrator. She will continue with college counseling, World Religions (co-teaching with DN) and Values classes (co-teaching with SN). On behalf of the entire school, I would like to express our excitement and gratitude as we welcome another new MMS director stepping into a vital role of program, faculty and student leadership.